35 MINUTES OF EXTREME FUN IN CAIRNS ! 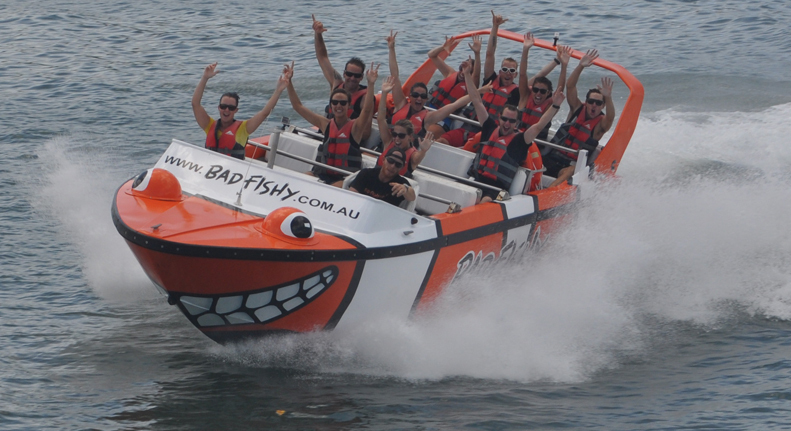 BAD FISHY – IT’S WET, WILD AND LOADS OF FUN! Thrilling speeds, spins, slides that are extreme and loads of fun! ADULTS: $69 + $2 Ports North Passenger Levy. KIDS : $45 + $2 Ports North Passenger Levy. FAMILY : $195 + $8 Ports North Passenger Levy for 4 passengers. A $1.95 Ports North Passenger levy applies per passenger to all bookings. On Sale Now for the Ultimate Christmas Gift! We have some sublime on-board cameras that capture all of the thrills of your ride.For only $20 our crew hand-pick the 5 best from your ride and email the high-res versions to you so you can print them, save them or share them on social media! 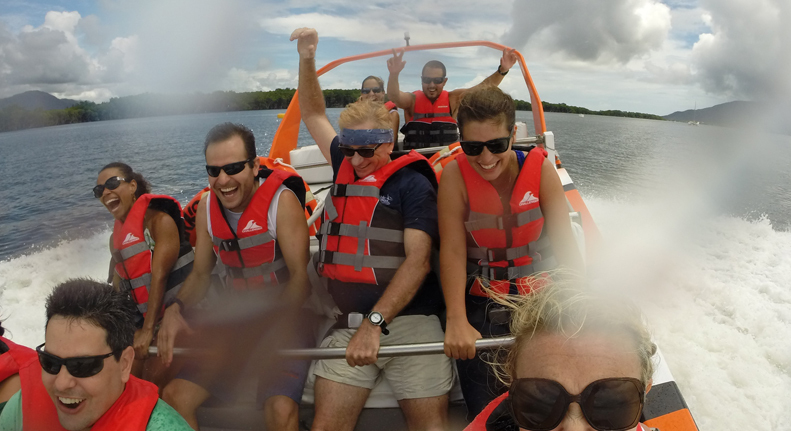 Great for bragging about your awesome jet boat adventure in the tropics! The Bad Fishy crew will assist you with purchasing photos after the ride. Fantastic experience. Patrick was a good host. Would recommend. Lots of fun. Will do it again. Great value. My partner and I had a great time. Would recommend it to everyone. We sat in the back and got totally drenched. Excellent!! Thanks Patrick for the tour, the music and the drenching. Nikki and Patrick, Thank you for the best 35 minutes I have had in a long time, awesome 360's, awesome music, awesome views, awesome info, just absolutely awesome, Will definitely be back over & over, can't wait to show everyone... best value ever. What Should I wear on the Jet boat? Wear casual clothing or swimwear, anything you don't mind getting wet. Thongs are ok. Will I get wet? Yes....absolutely! Where does the jet boat depart from? No sorry, but we do take awesome photos of you during the ride and these can be purchased when we get back to the wharf. How tall do I have to be to ride? We recommend you are at least 1.1m tall. When do I need to check-in? Please check in at least 20mins before your ride. 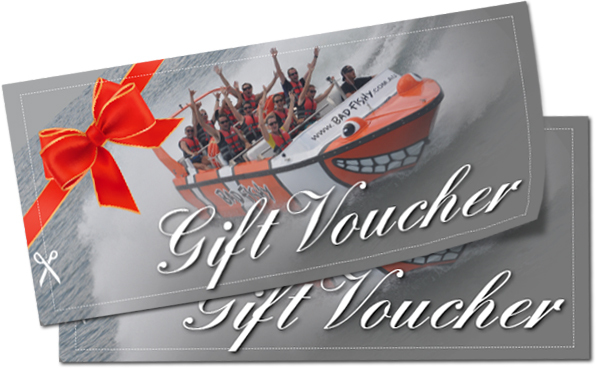 How many seats are on the jet boat? 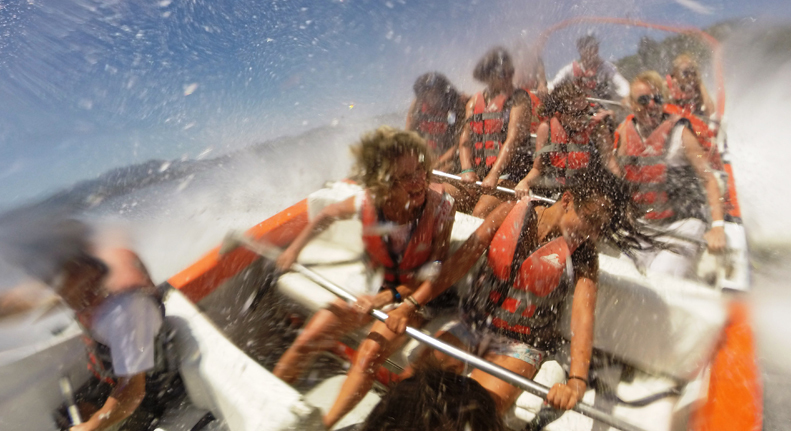 The jet boat can hold up to 12 passengers at a time. Don't forget we offer group rates if you have 6 or more passengers. Wear sunscreen and apply it before check-in please. Bring a towel for after the ride. We have a small storage and while we aim to take great care of your belongings they are left at the wharf at your own risk. Please see our terms and conditions of passage for more information or call us if you have any queries. Let us know PRIOR to riding. 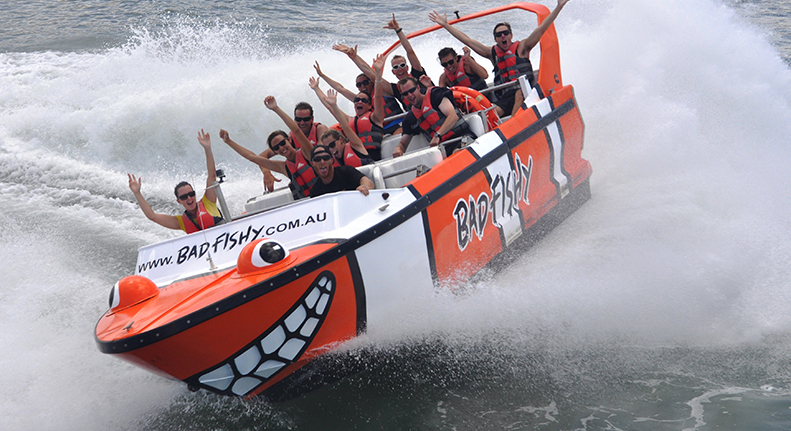 The Bad Fishy 35min Jet Boat ride is a great activity not only for tourists but also for Cairns locals. OPEN DAILY DURING THE QUEENSLAND SCHOOL HOLIDAYS - BOOKINGS ESSENTIAL! 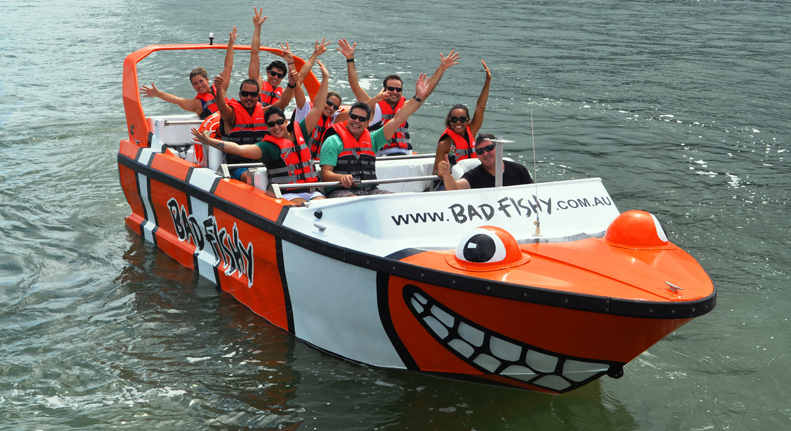 Filled with spins, slides and speed the Bad Fishy jet boat offers a great adventure on The Trinity Inlet and is perfect for Birthday Parties, Team Building, Hens and Bucks parties, Social Club bookings and is a great weekend activity for the family. 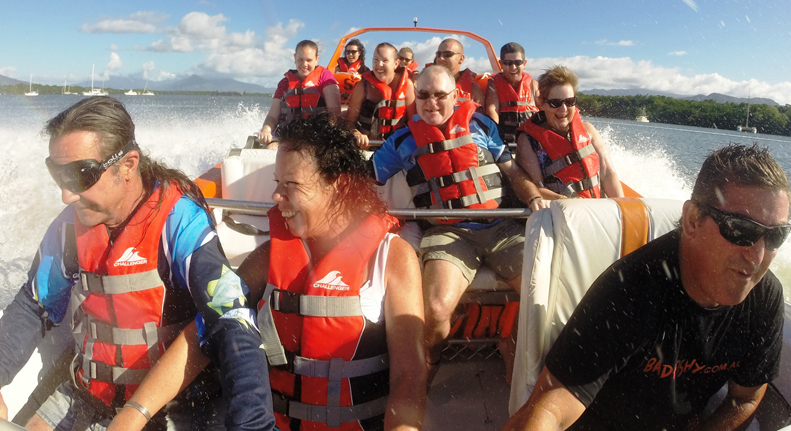 Cairns locals can expect an adrenalin-pumping tour in the Trinity Inlet. 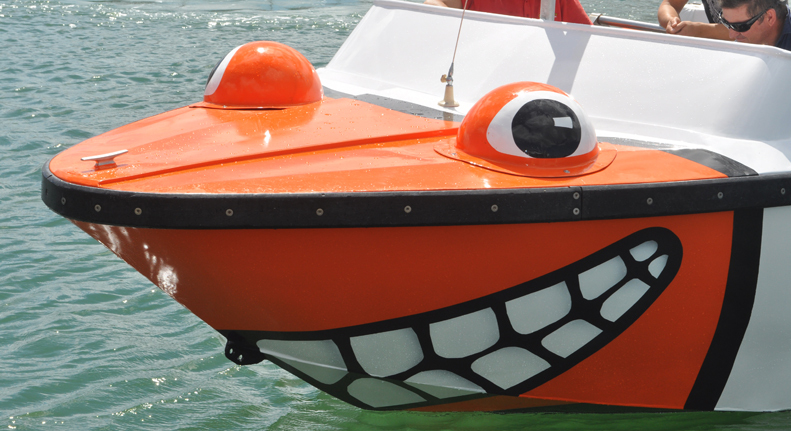 It's a great waterway to explore and Bad Fishy does it with the music pumping and the boat spinning. Part of the fun is getting wet, so make sure you wear your swimmers or casual clothing. Grab a group of you mates so you can all have a blast together! We LOVE where we live, work and play! 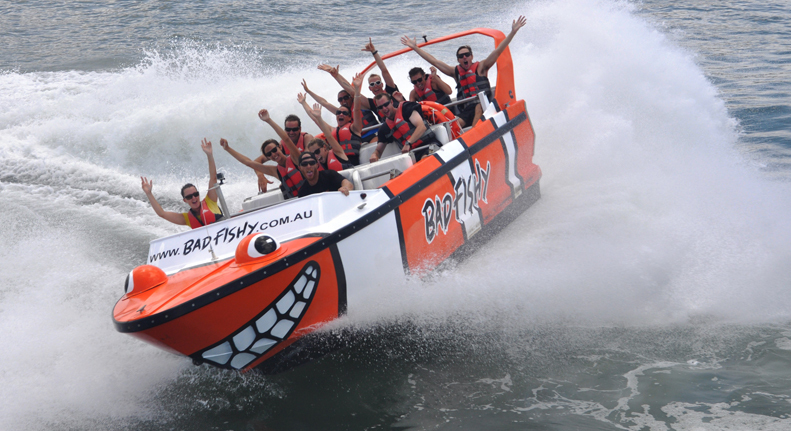 We recommend passengers are at least 1.1m tall to ride the jet boat. All passengers acknowledge and agree that they ride at their own risk. 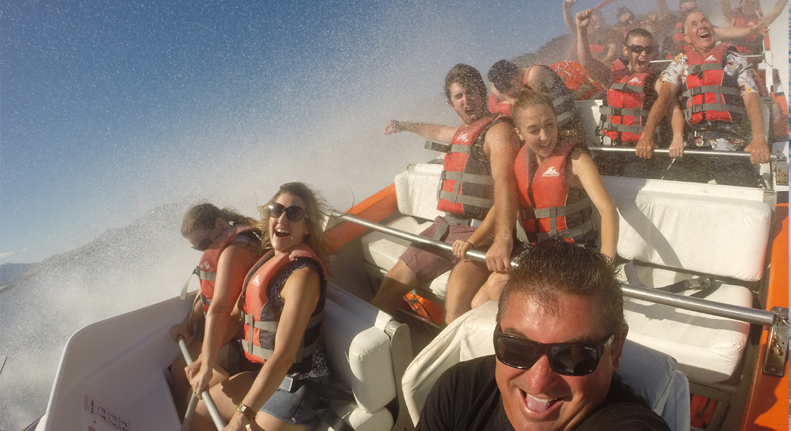 All passengers acknowledge and agree that jet boating is a dangerous recreational activity and all passengers accept the risk associated with the ride. Prior to departure, all Adult passengers must sign an Assumption of Risk Form. Minors require a parent or guardian to sign this form prior to departure. This Assumption of Risk Form is part of our terms and conditions of passage. Passengers agree to indemnify us against any and all claims arising from their participation in the ride, including any and all claims for injury, damage or loss. 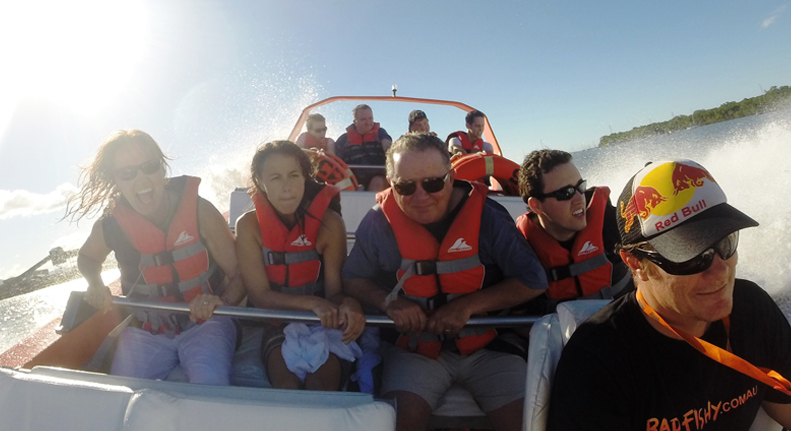 Passengers with back, neck, shoulder or heart conditions, or those who have injuries or who are pregnant or have conditions that may cause a risk to their health, are strongly advised not to ride the jet boat and do so at their own risk. Passengers agree to disclose any pre-existing medical condition or any other condition that may cause the passenger to suffer injury or aggravate a pre-existing medical condition during the ride. 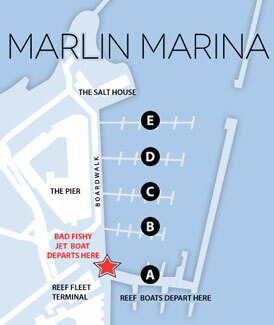 Passengers must adhere to the directions given by the Captain at all times. We reserve the right, at our own discretion, to refuse passage for whatever reason. Passengers must check in 20mins prior to departure or seats will be reassigned and no refunds will be issued for late arrivals. 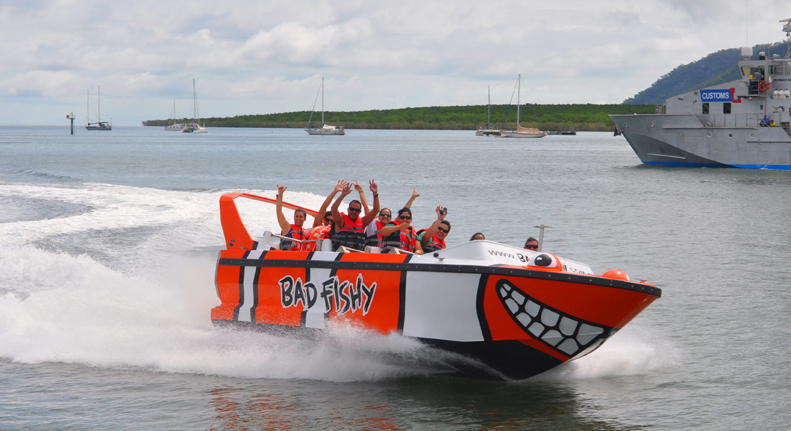 In the event that Bad Fishy needs to cancel a ride due to inclement weather or for any other reason, rescheduling options (subject to availability) will be made available and in the event no options are available a refund will be issued. Valuables are not permitted on board. We take no responsibility for any loss or damage of valuables. We reserve the right, in our discretion and acting reasonably, to alter the departure time, vessel and departure point, as and when required. Passengers may be filmed and/or photographed during the ride. All passengers agree that we have the right to reproduce such film and/or photos, for any purpose whatsoever, without notification, compensation or payment to the passenger concerned. All rides operate subject to minimum numbers. Bookings are essential and are subject to availability. Please check our online booking link or call 0499 490 030 to check availability. Copyright © 2019 badfishy.com.au. All rights reserved.